Similar incidents have recently been reported in Tamil Nadu and Andhra Pradesh after fake videos and rumours went viral on social media. NEW DELHI: In striking similarity to incidents of mob lynchings in Tamil Nadu and Andhra Pradesh, an angry mob lynched two youths from Guwahati to death in a remote area in the Karbi Anglong district of Assam on suspicion of being child kidnappers. According to the Indian Express, the incident occurred on Friday night after a rumour spread on social media about a group of ‘sopadhara’ (child kidnapper in Assamese) being active in nearby areas. 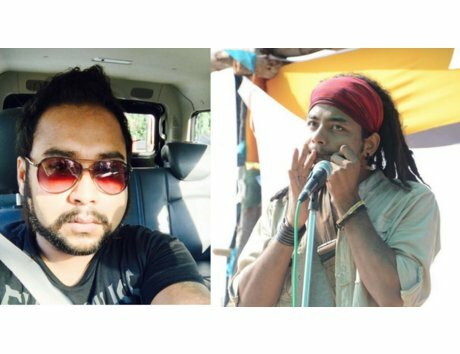 The two young men were identified as Nilotpal Das (29) and Abhijeet Nath (30) who were returning to Guwahati after visiting the Kathilangso waterfalls in the Dokmoka district area. Das, a sound engineer and his friend Nath, a businessman had gone to the picnic spot Kangthilangso in Karbi Anglong to capture the sounds of nature, police said. Both were in an SUV when they were stopped by a mob, the Indian Express reported. According to Scroll.in, both the youths were artistes based in Goa and were visiting homes for the Bohag Bihu festival. “The victims were pulled out, tied and beaten to death by the mob while they constantly stated that they were only there in the Karbi Anglong district just to witness the scenic beauty,” the police told IANS. No arrests have been made so far, they said. The district administration authorities are camping in the area and holding talks with the villagers. Meanwhile, Das and Nath’s parents are on their way to Karbi Anglong from Guwahati where they reside. The bodies will be handed over to them after conducting the post-mortem, police added.